The first exhibition of the Khalili Collection of Japanese Art was held in the Japan Gallery of the British Museum in 1994–1995 and opened by Mr Sadaaki Numata, Minister Plenipotentiary at the Embassy of Japan.The possibility of holding an exhibition of Meiji period art in the Japan Gallery had been considered for some time, and would have taken place with pieces borrowed from public collections in Japan, the USA and Europe had not the Khalili Collection in its entirety been made available. Such a collection could not possibly be duplicated or even approached by any museum in the world today. The metalwork, lacquer and enamel pieces in the exhibition show the extraordinary level of skill of the artists themselves, and the range and depth of the traditional Japanese art forms, which are intrinsic in their work. 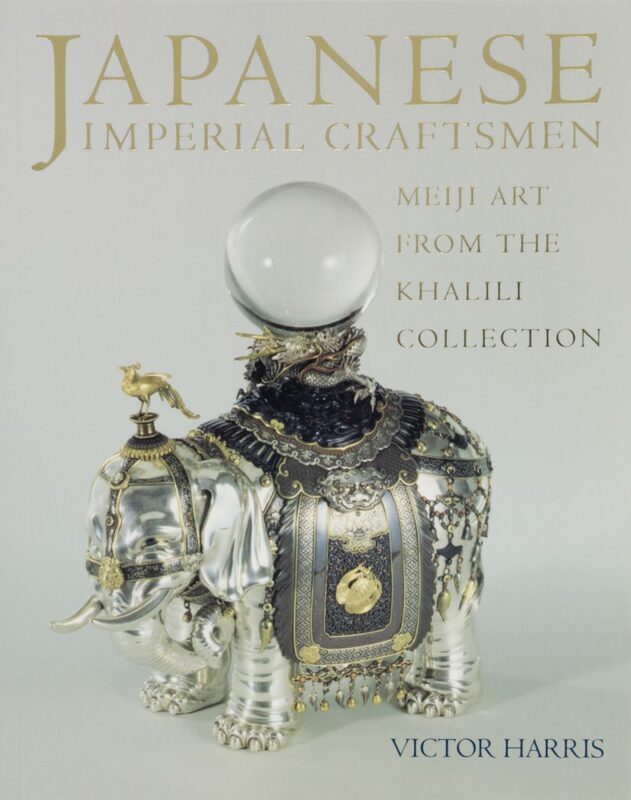 It is of particular significance that about a quarter of the pieces are by members of the elite group of artists appointed by the Meiji Emperor as Imperial Craftsmen, and that many others are by their pupils and associates. They remain today as monuments to the pride of Japan in her traditional art, which emerged after the restoration of Imperial rule in 1868, and as examples of a level of workmanship which is unlikely ever to be excelled. 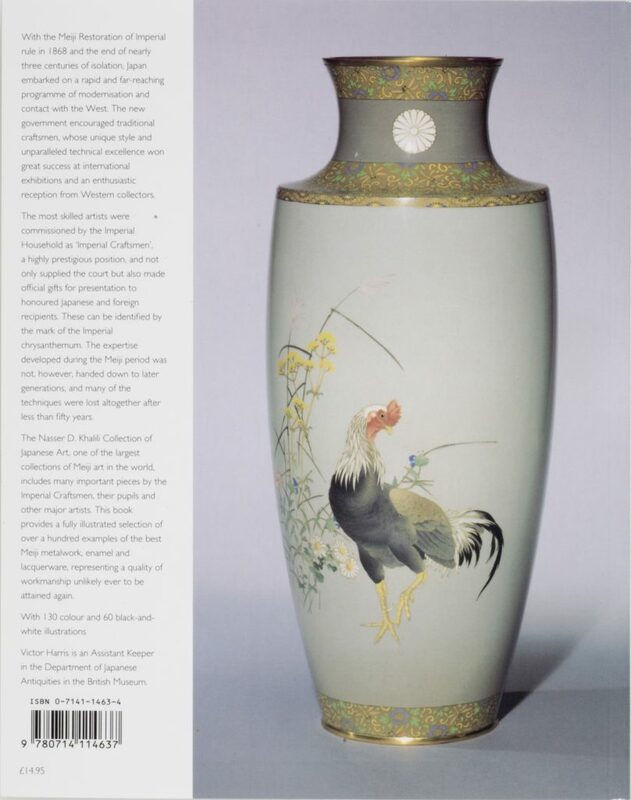 This inaugural exhibition of the Khalili Collection included 102 pieces that are reproduced in full colour in the catalogue written by Victor Harris, former Keeper at the Department of Japanese Antiquities at the British Museum.